Bitcoin Blackjack Guide (2019) - 100% First deposit bonus up to 5 BTC! Here are the casinos we recommend for Bitcoin blackjack. 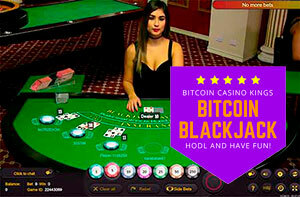 These casinos feature one of the biggest selection of Bitcoin blackjack games including American, European, Multihand, Super 7 Blackjack and many more. Pick your favourite casino and grab the good deposit bonuses with you! Here are the TOP 20 Bitcoin casinos to play blackjack. Many casinos provide also live blackjack games with a real live dealers. Blackjack can be also called as 21 or Twenty One. 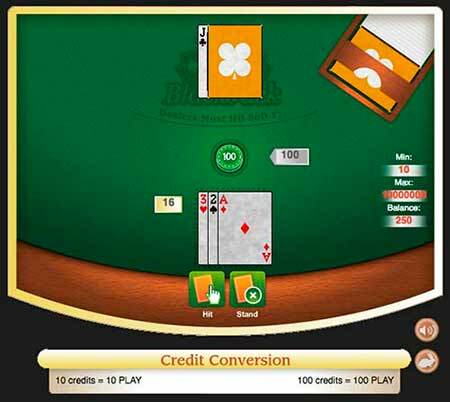 The rules are quite simple and there is a great possibility for a good blackjack strategy. For a mathematical expert, the odds are very good and even a casual player can raise the odds to a good level if played smart. 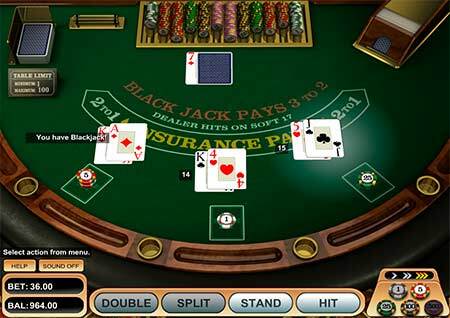 Blackjack is the most popular casino table game in the United States, with more players than craps, roulette, and baccarat combined. In blackjack game a standard 52-card deck is used. Usually there is multiple decks (from 4 – 8 decks) to make card counting a bit harder for expert players. The objective is to score a higher total card value than the dealer. Your main goal is to get as close to 21 without going over. If you get to 21 with the two first cards, you get a Blackjack. A bet once paid and collected is never returned. So one key advantage to the dealer is that the player goes first. If the player goes over 21, he has already lost his wager, even if the dealer goes over 21 as well. This is provably fair Bitcoin blackjack at CryptoGames. If the dealer’s upcard is a good one (7 – 10 or ace), you should draw cards until a total of 17 or more is reached. If the dealer’s upcard is a poor one (4 – 6), you should stop drawing as soon as the dealer hits 12 or higher. The idea here is that you shouldn’t take a card if there is a risk of going bust. You just hope that the dealer keeps on hitting more and goes over 21. If the dealer’s upcard is average one (2 – 3), you should stop with a total of 13 or higher. The combination of an ace with a card other than ten is known as “soft hand“. For example ace and a 6 can be counted 7 or 17, so you have no risk of going bust if you take one more card at 17. That’s why the hand is called soft. With a soft hand, you should keep on hitting more cards until a total of at least 18 is reached. With a total of 11, you should always double down. With a total of 10, you should double down unless the dealer has a ten-card or an ace. You should always split aces or 8s. Generally 2s, 3s, or 7s can be split unless the dealer has an 8, 9, 10 or an ace. What is the difference between American and European blackjack? Read more to find out. In general the American blackjack rules are more flexible and user-friendly and have more opportunities to increase your potential winnings. In American blackjack, the dealer is dealt 2 cards: one is face down and the other face down (hole card). A dealer is allowed to peek this card if there is a possibility for a blackjack. If the dealer has a blackjack, the hand will instantly end and players’ bets are collected by the dealer. In European blackjack, there is no hidden hole card. The dealer is dealt one card face up and only receives the second card after the player’s hands are complete. In European blackjack, 2 standard decks are used vs. 6 – 8 decks in American blackjack. The more decks used, the greater the house edge because card counting gets harder. In European blackjack, you can only double down hands with value of 9, 10 or 11. In American blackjack, you can double down on any total. In American blackjack you can also double down after splitting. In European blackjack you can split a hand only once, and the cards must be like-valued of 10 value. That is 10s, Jacks, Queens or Kings. In American blackjack you can split a hand 3 times to make up 4 hands, and you can split any pair of cards. In American blackjack Aces can be split only once, and you can take only one extra card to split aces. The late surrender is an option after their initial 2 cards are dealt. You lose 50% of your stake instead of the whole bet amount. This option is worthwhile if you think that you don’t have good chances of winning. In American blackjack, you can surrender at any time whereas there is no surrender option in the European blackjack variation. American Bitcoin blackjack by Betsoft looks like this. You can play this at many casinos like for example FortuneJack. Spanish blackjack uses a standard 52-card deck, but without the four tens. So the deck has 48 cards. That lowers the winning probabilities, because tens are valuable in blackjack, doubling down or busting the dealer. In Spanish 21, you are allowed to double down on any number of cards, not just on the first two cards. You can also redouble a hand in some game rule variations. After doubling down, surrendering is still an option. This is called forfeit. The following blackjack variations apply more to the Bitcoin blackjack gambling. In live Bitcoin blackjack games you can get very close to the authentic brick-and-mortar casino feeling. 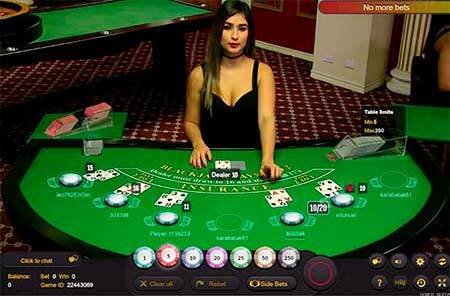 You can watch a real live dealer via a video connection and play blackjack just like in a real casino. You can chat with the dealer and also with other players in many casinos. You can play Live Bitcoin blackjack for example at BetChain or FortuneJack. In many Bitcoin casinos you can play for free using play money. For example Bitcasino.io offers the possibility to play for free. That is a good way of practicing your blackjack strategy to get better winnings when playing with real Bitcoins! 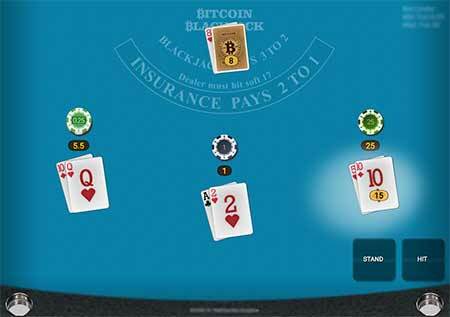 This was our article about the best sites to play Bitcoin blackjack. Feel free to send mail, write a message via the contact form or write your comments or suggestions here! This is Satoshi Bitcoin Blackjack at BitCasino.